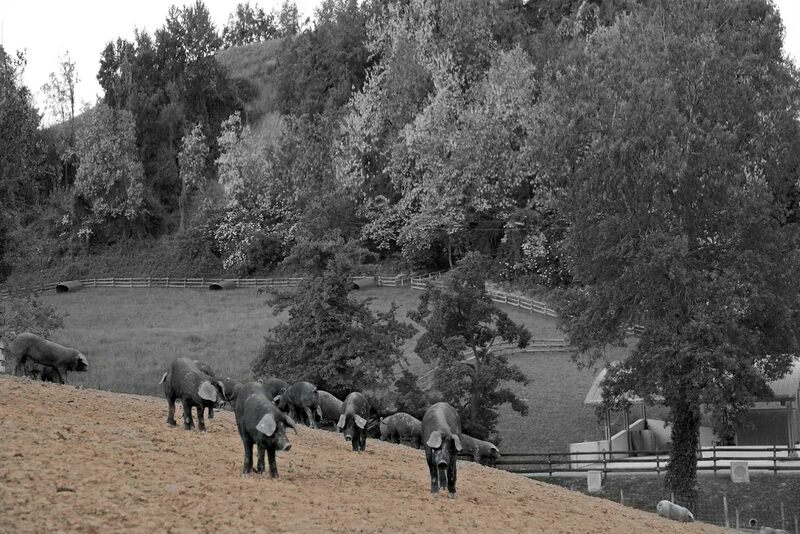 OUR BLACK PIGS BELONG TO AN ANCIENT LOCAL BREED THAT HAD ONCE ALMOST COMPLETELY DISAPPEARED. THEY ARE LEFT FREE TO ROAM THE FIELDS AND WOODS IN SUN, RAIN OR WIND. THE ANIMALS FEED ON FRESH GRASS, CORN, BARLEY AND WHEAT AS WELL AS BROAD BEANS, BERRIES, ROOTS AND ACORNS. 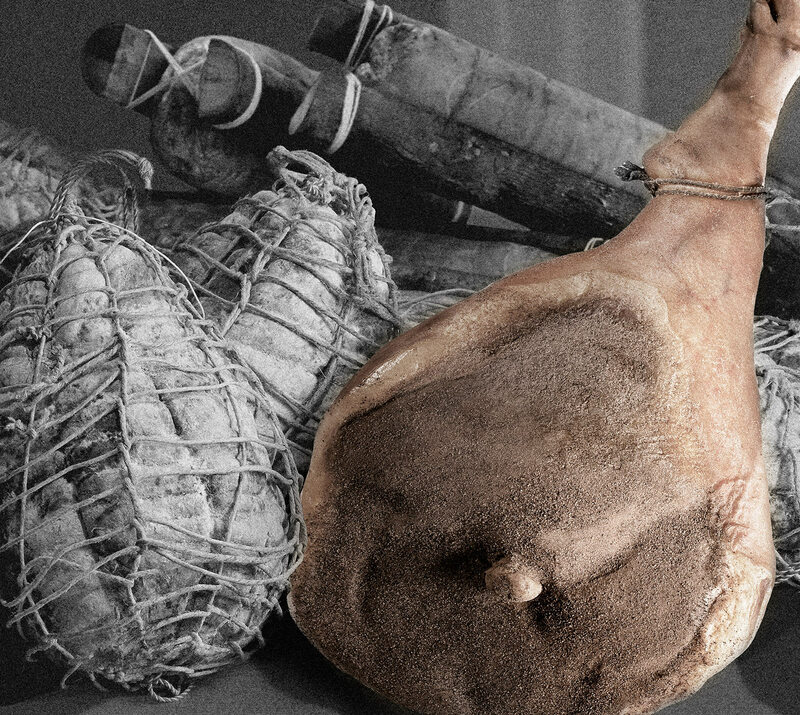 The production is special: starting from the origin the meat has different qualities due to the type of outdoor breeding and the ancient processing by hand using only salt and a long seasoning.